If you want to work for an international business organization and you are interested in communications and community management, then this intership is for you. 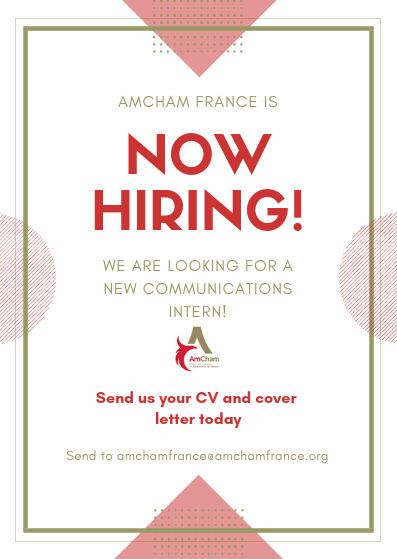 We are looking for an intern to work in the Communications department to assist in the development of AmCham’s activities. See here for more information on the offer. Send now your CV and your cover letter to amchamfrance@amchamfrance.org.